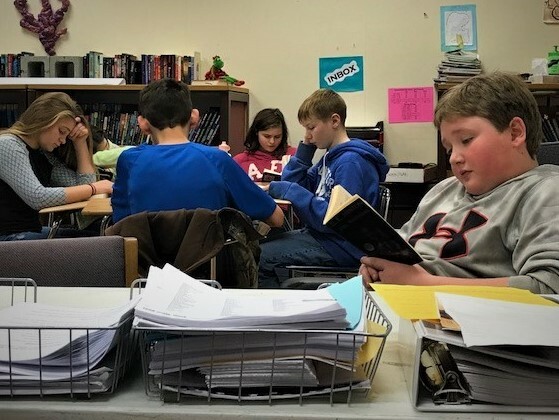 “I’m very big on giving students as much choice as possible in their middle school years,” said Laura Niemczyk, Nikiski Middle-High School teacher. “I am also very big on turning kids into lifelong readers. With those two objectives in mind, I issued the 25 book challenge to my seventh graders this year. This is not a new idea—it comes from a modified version of Donalyn Miller “Book Whisperer” 40 book challenge. 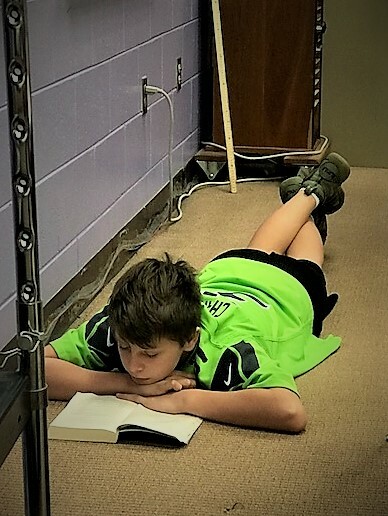 I was tired of fighting struggling readers on reading logs, fluent readers who hated reading after having done years of reading logs, and students who would tell me that they didn’t have time to read. Notice it’s a challenge, not an assignment. 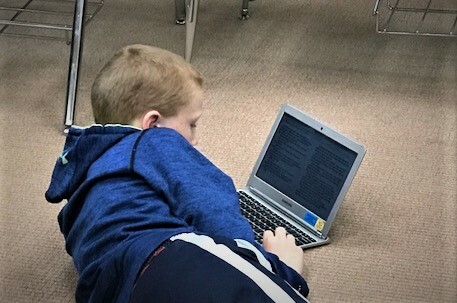 There was no mention of grades attached to it and when I introduced the challenge to students, not one asked me, “how much is this worth?” They had many questions: about the types of books they could read, about audio books, about books they wanted to reread, about reading on their devices. So now we read for chunks of each day’s class period. And it’s great. I don’t consider it innovative when my classroom is full of students actively reading, and not looking up if someone enters the room. What’s better than I did before is that instead of having to assess students on written reading logs, I now meet students where they are at and provide them with multiple ways to show me what they know. We have class book talks, the students recommend books, write reviews, and engage in discussions on theme and characterization. Some of this I planned—once a week there are open ended prompts that are differentiated for student reading level and even book type. And they do them, without complaint, because they chose their book and choose how to respond. Some students write out their answers, others type, others draw, and some record an audio file. Aspects of how this added innovation into our classroom came from the students. They are required to keep track of the books they have read. Once again I gave them options for this: a Pinterest board (it’s how I chose to do my reading challenge), Twitter, a written reading record form, chart in the classroom, discussion list on Canvas or through Goodreads.com. One student asked if she could record her answers in a blog; I said “yes!” That led to others asking if they could use LibraryThing.com and Shelfari.com to create their virtual book worlds. As always I said yes, and then asked them to show me what these things were. This entry was posted on January 2, 2018 at 3:34 pm. You can follow any responses to this entry through the RSS 2.0 feed. You can leave a response, or trackback from your own site.